PARIS, FRANCE – Chauvet has announced that Martin Fournier has joined the company as its European Sales Director. 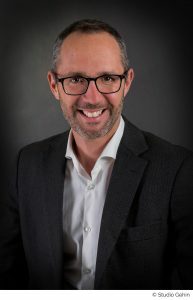 Fournier is an experienced lighting industry figure in Europe, having spent the last 22 years serving the professional lighting market in Europe. He comes to Chauvet from Harman International, where he most recently served as that company’s Sales Director for France and Benelux Professional Solutions. Fournier began his career in 1995 with Martin Professional. Fournier will be based in Paris, France where he currently resides.